Every fashion eCommerce store is looking to double the conversions and become successful. And, all thanks to the fastest growing segment in the eCommerce industry- fashion and lifestyle. With the growing industry, the competition has become even tighter than earlier. All the fashion eCommerce brands are chasing to grab the attention of their customers with something WOW. They want their customers to stay loyal towards their brands. With that, the brands target to skyrocket their conversions. Q: With the help of highly essential features on your fashion eCommerce site? Q: With just having the high-quality products on the site? You need to offer an overall WOW-some experience on your fashion eCommerce website and app. Being an eCommerce consultant for more than 15 years, I have carefully researched, tried, and tested the out-of-the-box features for your fashion eCommerce store. Use these features in your website and mobile app as they are not completely and exclusively adopted even by the leading fashion eCommerce brands. gives a long lasting impression on your customers. But, what are the style guides? Style guides are some sort of guidance shared to your customers to make them understand what kind of attire they should prefer based on their personality, occasions, and much more. The perfect example can be Limeroad style guides. Style guides make easy for your customers to look for the entire attire and shop the clothes and all the accessories only from your fashion eCommerce store. And, style guides need to be properly planned, executed and marketed as it has a direct influence to boost the conversions. Having high-quality images, properly placed products on certain backgrounds, removed all blemishes and crystal clear graphics- everything lies in the success of your eCommerce sales. But, then the need of having high-quality graphics is never going to stop and the way you add creativity and clarity to it makes a huge difference. So, adding video to your fashion eCommerce store is the new in-thing. As per the statistics by XORLabs, there were a whopping 25.59 million engagements achieved on video content. And, the online fashion brand that was able to bring the highest engagements was Koovs. So, click on the button, “PRESS PLAY” and you can see the model showing you the entire outfit from the front, back, and all sides. This feature of having video is less accepted by other well-known fashion eCommerce brands. But, this feature helps a lot in improving the customer experience and reducing the number of return rates. Thus, boosting the fashion eCommerce sales. Don’t misinterpret the eCommerce website’s voice search with people searching for your products on Google using voice search. We are talking explicitly about the voice search functionality within your fashion eCommerce store. And, the real success for your store will begin with the same. As per the report, 40% of Millennials have already started utilizing voice-based digital assistants before making a purchase. Also, a report by Adobe says, there is almost 103% YoY increase in the sales of voice assistants after the 4th quarter of the year 2016. So, the voice search should be a part of your eCommerce business strategy and work on how to utilize the same in your digital fashion store. Your customers should be able to browse your products by using the voice search. For that, your fashion eCommerce store needs to leverage the technologies like NLP (Natural Language Processing) and digital voice assistants. The technology should understand the long questions and responds with the products being searched. The way Amazon introduced voice shopping using Amazon Alexa. Include voice shopping to WOW your customers because by the year 2020 down the line, there will be more voice shopping than text-based shopping. Customers can share a part of their image or a complete image on your online fashion store. And, based on those images, your fashion store comes up with the personalized search results for your customers. So, your customers can search for products that are similar to the ones that they are actually looking for. Do you know 39% of customers use visual search for online fashion shopping? Says a report. Well, we can also say that visual search should be included in the list of MUST HAVE features to make your eCommerce business a success. But, not each online fashion store is able to utilize it appropriately. It is a huge investment in technology, hours of development, testing, deployment, and maintenance. And, the customers can share their image from their cameras, social media profiles, search engines (Google, Bing, etc. ), from the other fashion stores (offline or online), and from anywhere that they would like. This visual search technology is growing simultaneously with the voice search technology. As per a report by DailyMail, 40% of clothes were returned because of the bad fit. Also, many of the online fashion brands have claimed that many times, customers returned the goods because they were not of their size. And, this is the reason why most of you have already started giving out the size charts on your eCommerce stores. But, with the increasing need of technology like Artificial Intelligence (AI), Machine Learning (ML), Augmented Reality (AR), and Virtual Reality (VR), size chart seems old-school now. Because, we have the new entry of- the size engine. This is a technology that identifies a particular user’s needs as per their shopping experiences, their searches and much more. Now, such technologies show only those sizes that will be the perfect fit for them. And, it’s the time you choose such technologies to make your fashion eCommerce business a success. So, now if you haven’t considered involving the size engine for your fashion eCommerce store, consider it now and reduce the return rates to a great extent. Improving the customer experience now begins with personalization. You have already considered it when it comes to your website content, email marketing campaigns, and whatnot. But, the success of personalization is not yet seen to a greater extent, right? Because it has been out of your focus. Personalization is one of those keys that directly influence your customers to buy your products. Well, there can be much more than the above-mentioned points. It lies in how you utilize personalization technology in your eCommerce fashion store and make your customers loyal to your store for years and years. Virtual Try-on is the only feature that WOW your customers on your fashion eCommerce store in just a few seconds. The Visual try-on allow your customers to try your fashion products on themselves without going to your offline stores. Most of the well-known brands have already started utilizing it. But, the one that has an amazing one is Ditto.com. While using Ditto, you can see your face on your screen and try different eyewear. You would be surprised to know that the visual try-on services of Ditto.com are exclusively used by Lenskart.com. You will see the above picture when you click on the first link at the top left corner on Lenskart, “Try in 3D”. Utilize this functionality before it has become an obvious one. Shop by look and lookbooks are something so trending these days in most of the successful fashion eCommerce stores. What is ‘shop by look’? Being a fashion e-retailer, you can consider “shop by look” a way to allow your customers to know how to get a specific look. That look includes everything from the clothes to all the accessories. This makes it easy for your customers to see how your products will look when they wear them along with the certain fashion accessories like bags, shoes, earrings, and whatnot. Let’s take an example who showcases shop by the look on the homepage of their online fashion store- Limeroad. Women can see how the Bollywood Fashionista, Kareena Kapoor, looks with various fashion accessories and buy multiple products in one go to get the same look as hers. Now, what is a lookbook? A complete fashion book that decides the entire look of yours based on any event, occasion or destination. Shop by lookbook gives your customers a complete package of products to understand what goes perfect for any particular event, occasion or if they are going to a certain place. If I put it in simpler words than- selecting a bunch of products. What is that perfect attire that should go awesome in cocktail parties? According to you, what is the ideal beach wear? And, the examples can be many more. Let’s have an example of a lookbook by Lakme. It offers almost more than 20 looks that women can choose and based on those looks, they can buy certain products at their eCommerce store. Try lookbook! They are trending almost at most of the leading fashion eCommerce brands. Online fashion brands can double the ratio of bulk buying with the shop by the look and lookbook features in their eCommerce websites. Style quiz is one of those WOW features that improve the way you personalize the fashion products as per the selection or style criteria of your customers. How to incorporate a style quiz? Based on the selection, you can go ahead with asking about what kind of clothes they are looking for- tops, tees, pants, etc. This is the perfect functionality that improves the personalization of your fashion eCommerce store. This functionality is quite intelligent to understand your customers’ preferred style criteria. And, based on their shopping habits, you can show them the products that they would embrace, have already purchased and shop new. This feature drastically boosts the sales of your fashion eCommerce store. Fashion enthusiasts or people also call them the “INFLUENCERS” of the fashion industry. These influencers are followed rigorously for their fashion-related choices, their how-to tips, and where-to-buy-from tips. You can collaborate with the popular fashion enthusiasts and bring them on-board for your brand. They share their highly curated tips which indirectly promotes your brand. Those fashion enthusiasts can share their tips on blogs, videos, photo shoots, etc. Customers visiting your website, see your collaboration with their favorite influencers and get inspired to buy from your store. It gives them a sense of choosing the right eCommerce brand for their choices. Recently, Nykaa collaborated with the fashion enthusiast Shalini who is a well-known YouTuber with her YouTube fashion channel, Knot Me Pretty. Did you check out our post on eCommerce conversion hacks? There Himani Kankaria wrote that customers have the least patience to stick to your fashion eCommerce brand. Hence, you need to be super-quick to WOW your customers and here, ‘try at home’ feature works the best. Before eCommerce became successful, people hardly believed to buy products without getting the feel of the products. In fact, this feature even helps you bring even those people to your store who still don’t believe to buy online. If you haven’t considered this feature, this is the right time to make your fashion eCommerce store a huge success. 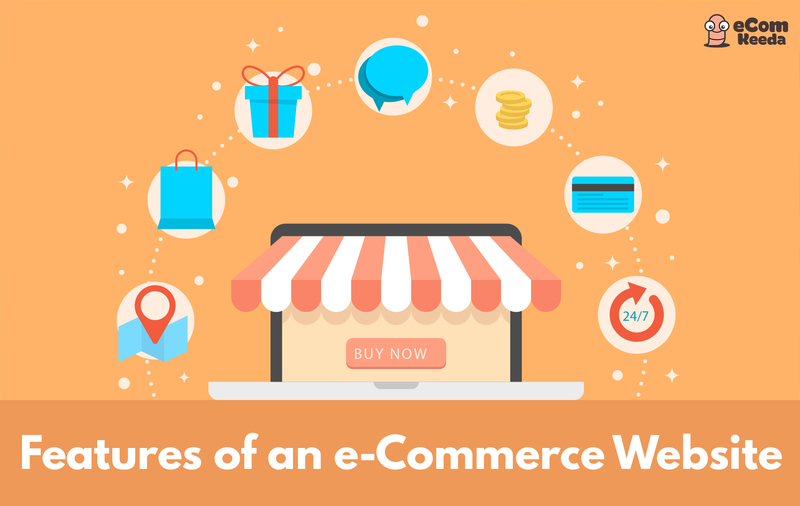 Most fashion eCommerce stores have wow-ed their customers with various features and functionalities. But, today is the time when people want to shop from anywhere and everywhere. So, the fashion e-retailers have to go one step beyond to offer an excellent customer experience with the omnichannel eCommerce business model. This means it has become imperative to have your online as well as your offline stores in sync. Going omnichannel allow your customers to browse the products online, try them at your offline stores and place the order either offline or online. The customers can even return their products at your offline store which they either bought from online or offline stores. The customers love this service of eCommerce stores and there are higher chances of getting repeat customers at your stores. Whether the customers place an order online or offline, your sales are going to increase. Hence, omnichannel has become the topmost priority for the eCommerce businesses these days. The success of your fashion eCommerce business has always relied on the customer experience. So, these features should be an add-on to your must-have ones. Become successful before it is too late. You’ve got WOW features other than these? Share them with us at hello@ecomkeeda.com or on social media. We will feature them in our articles if we found them utterly new, fresh and interesting.